The never ending queues of Visa aspirants is a common sight if you happen to visit any of the US and UK consulates in India,. In this age of Globalisation also the desire to go and settle abroad is one among the top priorities of middle class Indian. If the trend in 1970s and 1980s for the most preferred destination , especially for Malayalees was the middle east , in 1990s and 2000s US and UK took over that place. And now it is South East Asia. The trend continues, only destination changes. This sights, in front of the various consulates reminds me of a movie that hit silver screens almost 26 years back, Akkare. 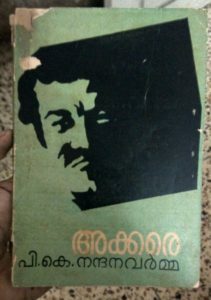 Akkare was the first film of well know Malayalam movie director K N Sasidharan, a Gold medalist from Pune Film Institute and the story was based on P K Nandana Varma’s (my dad) short story on the same name. The movie very aptly portrays a typical middle class mentality, of not satisfied with what you have and always craving for more, without realising whether you deserve it or not. 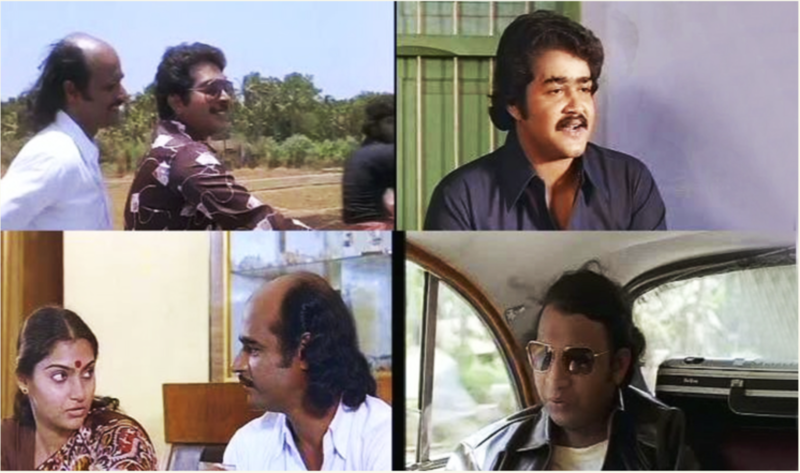 We can still see the same characters, brilliantly played by Bharat Gopi, who played the lead role of a Thahasildar, who is not very happy about his job and life style and always compares himself with many Non Resident Keralites (NRK), Mohan Lal, Mammooty and Nedumdi Venu in our neighbourhood. This shows the plot and the movie Akkare is still relevant today. Akkare was selected to Indian Panorama and went on to be screened at various International film festivals. 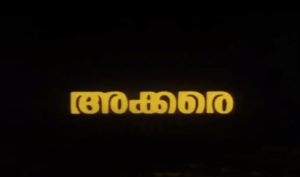 Cast : Gopi, Madhavi, Mammootty, Nedumudi Venu, Mohanlal, Rani Padmini, Srinivasan, Sriraman. So many things have changed after the Akkare. Mohan Lal and Mammooty became superstars and ruled (still rule) the Mollywood. Sashidharan went on to take more movies and later moved to ad film making, P K Nandana Varma scripted and directed various documentaries and tele serials. Very recently I happened to meet Mohan Lal and his memories of the film was afresh.